"Pagans in Vegas deepens the new-wave dalliances of its predecessor (2012's Synthetica) with their slinkiest, slickest palette to date." 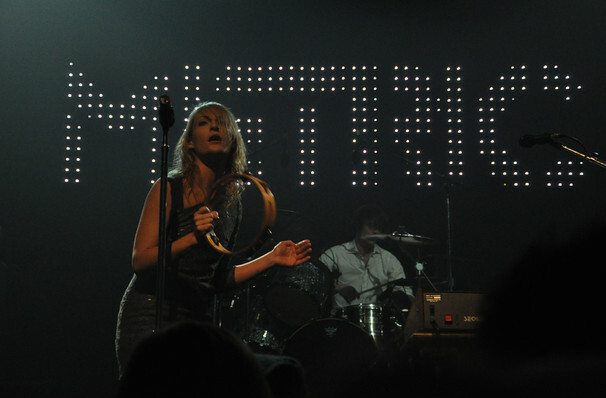 metric take Art of doubt on tour! Indie-rockers Metric have returned with their latest album, Art of Doubt. The synth-pop sounds doing the rounds in pop music today has more than rubbed off, but don't dismay, lead vocalist Emily Haines still gives each track the untamed edge synonymous with their new-wave sound. 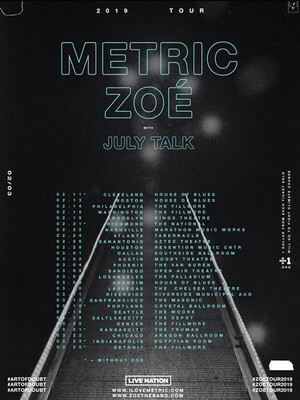 The 27 date tour will see Metric co-headlining with Mexican Rock band Zoe, who together will kick the tour off in Cleveland before rounding things up in Detroit. Formed in 1998 at Toronto, they're not only one of the few indie-rock bands whose versatile sound can take on the evolving nuances of dance influences whilst still retaining their original fan-base, but they're also one of the few bands whose line-up hasn't changed over the years. Originally formed as a duo with just Haines and guitarist James Shaw in 1998 under the name Mainstream (not quite as catchy we reckon), they expanded to include two additional band members in 2001. Sound good to you? Share this page on social media and let your friends know about Metric at M Telus. Please note: All prices are listed in US Dollars (USD). The term M Telus and/or Metric as well as all associated graphics, logos, and/or other trademarks, tradenames or copyrights are the property of the M Telus and/or Metric and are used herein for factual descriptive purposes only. We are in no way associated with or authorized by the M Telus and/or Metric and neither that entity nor any of its affiliates have licensed or endorsed us to sell tickets, goods and or services in conjunction with their events.